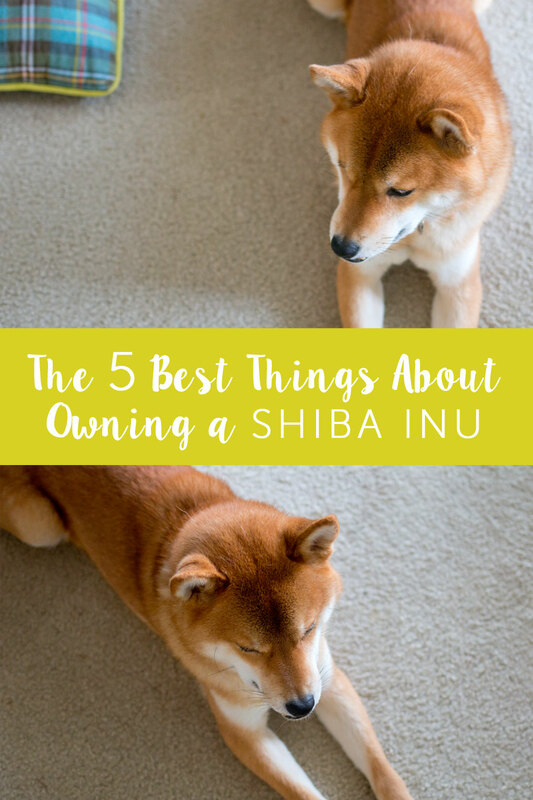 I felt kind of bad after I wrote 10 things you should probably know about Shiba Inus. I know most of you got that I was kind of poking fun at Rigby and his breed of weirdos, but I was also fairly serious. They’re not really for the faint of heart and I think everyone should know that, especially because I get frequent comments or emails about where one can acquire a Shibe. BUT, with that said, I am a Shiba lover. They’re cute and quirky and way too smart. So I figured I’d follow up my last post to share why Shibas will always have my heart, despite their interesting personalities. 1. They’re darn adorable. Whether it’s making “Airplane Ears”, howling, play bowing, or walking around the house grunting a greeting with a toy in their mouth, it’s hard from melting into a puddle from the cuteness. 2. When they love on you, you know you’ve earned it. There’s something special about Shiba affection since they give it fairly sparingly. Rigby is not a snuggler by choice, but the older he has gotten, the more okay with snuggling he has become. Maybe one day he will instigate the night time snuggles… we shall see. 3. They’re freaky smart. It’s a little scary how fast they can figure things out and what they’re aware of. Rigby notices if things are amiss in the house or outside, and will alert us to this fact. He also picks up new tricks incredibly quickly, even if he does decide he doesn’t want to actually perform them. 4. They’re pretty catlike, which means that they take their grooming very seriously. It’s super rare that Rigby will smell bad – the only time he’s really ever smelled bad was when he came home from daycare and some dog had slobbered on him. Yuck! He cleans himself up every night before bedtime so he’s pretty much stink-free. 5. He’s an excellent watchdog. While I doubt Rigby would be able to take on an intruder (he’s 23 pounds after all!) he definitely lets me know when something is up. When some drunk/crazy person was outside singing “Stand By Me” the other night, Rigby woke me up to let me know something was up. He didn’t stop alarm barking until the “danger” had passed. The other thing I love about Shibas is I find their personalities relatable. Aloof, independent, and unemotional? Oh hi, that’s me. I’m pretty sure I may have mentioned it in my email to his breeder that I was basically the human equivalent of a Shiba. What can I say, I like to hang out with my kind. 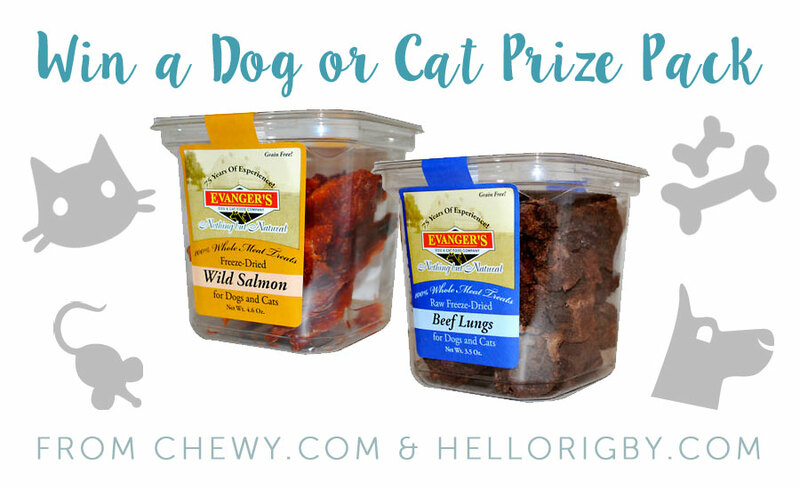 And in celebration of all things pet, my friends at Chewy.com offered to send one lucky pet owner (dog or cat) a prize pack from Evanger’s with treats and toys for their furry friends. Giveaway is open to US residents and ends on April 29th at 11:59pm EST. Good luck! What’s the best thing about your pet? Was there anything that surprised you about their temperament? Aww we love you Rigby! Isn’t being loved by them just the best thing ever?! My fave is the a-Roooo roooo greetings, airplane ears and twirls we get when we come home from work! Aw, two excellent qualities in a pet! Love Rigby! He’s such a cutie. That is a great quality in a dog. Thanks for entering, Elena! He is just SO cute! I think it’s great that you post things to educate people about the breed, so many people just decide they want a certain breed because of how they look when they have no idea of their temperament and what works best for that particular breed! Thanks Julia! I think it’s important because like you said, so many people get hung up on what the dog looks like before realizing what they’re in for in terms of temperament! Aw, that is too cute! They sure make some cute and funny noises! The best thing is that my Reecie is so loving, and very protective of my kids. Such a sweet girl! Aw, she sounds like a great dog! I so agree with all of these! I’ve had Gatsby for about a year and a half now, and he finally started snuggling and wanting to be pet–it’s the best because I know I’ve earned it, like you said! Also–freaky smart. I love it. And airplane ears? Be still my heart. I know right?! Airplane ears are the best! That’s funny that they aren’t super snuggly either, I had always heard those breeds tended to be! They sound like great dogs though – Rigby is a great guard dog too! 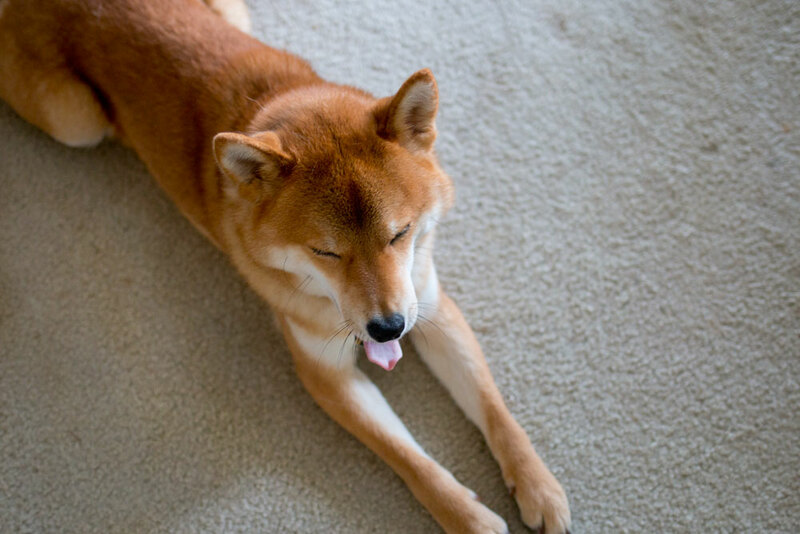 I thought your post about things you should know about shiba inus was GREAT. People tend to romanticize dogs in their head, especially certain breeds, but the truth is they’re not all easy dogs to train or handle. Shibas, huskeys, corgis… people love these dogs on the internet, but they all have some pretty serious needs and wild personality quirks. I think finding a breed that is right for you is essential for making the adoption work :) I’m so glad to hear that Rigby is the perfect dog for you – not that I’m surprised! That being said, isn’t it fun having a smart dog? I’m often blown away by Ru’s intelligence. Her most recent thing is I’ve realized she knows that when the phone rings at the office, often that means a stranger will be coming in the front door 2 minutes later (our outdoor intercom goes through to our phone). The fact that she was able to connect those dots was nuts! Thanks Cat! That’s very true; I think it’s important to show the positive and negative… I just felt like it wasn’t fair to only show the negative (or quirky, depending on how you look at it) side of things without showing the things I appreciate about his personality. It’s very rewarding having a smart dog! Sometimes it’s a huge pain since they know how to push buttons, but it’s definitely a good thing nonetheless. Amazing how Ru figured that out! The best thing about my dog is how she loves to snuggle. Aw, sounds like a great pup! Thanks for entering, Steve! Aww Rigby is seriously the cutest! The best thing about our dogs is (lots of) unconditional love. So true! Thanks for entering, Cheryl! I can’t wait to live somewhere I can have a dog! I always had a dog growing up and they are just so fun! My parents have two yorkies and they are cutest things. I’m always amazed by how much personality animals can have! I read your post about things you should know about Shiba Inus and I really liked it – I admired that you spoke about things that most people wouldn’t talk about. Owning dogs can be hard sometimes. Rigby is freakin’ adorable though. I’m so glad you mention ‘airplane ears’! My cat does ‘airplane ears’ too. I call it ‘cat plane’ though. It really can be challenging – though I will say it’s more than worth it. :) Aw, cat plane ears! That sounds beyond adorable. Aw, Rigby is such a cute pup! I love learning about different breeds and comparing their behaviors to Rosie’s. Since she’s a mix, she has some characteristics that are 100% golden retriever and some that are definitely from her German Pointer side. She’s not much of a snuggler, either, and LOVES to point/chase squirrels and ducks. Regardless, she is the perfect dog for me and I can’t imagine any other dog in my life right now! The best thing about my dogs is that they love me no matter what. I can always count on them to be willing and able to share affection with me. Aw, they sound like sweeties! Thanks for entering, Rida! I talk the same way about our Corgis. They are awesome little dogs, but they aren’t for everywhere. If my being truthful helps one Corgi not to be abandoned at a shelter or sent back to the breeder because Corgis weren’t right for them, I’ll gladly continue to do it! The best part about my two is those happy little smiles. I can’t get enough of them! So true about Corgis – we hear the comparison a lot since they’re both small and cute, haha. They sound like sweet dogs! The best thing about Sampson, my 1 year old Pom, is his love. He is one cuddly boy who loooooves his mama! I was a little surprised (and still am) at how hyper he is… Other dogs that I have owned before him haven’t even come close, energy-wise! Aw, he sounds like a fun little guy! Thanks for entering, Amanda! Only owners with disciplines can raise a Shiba, I read. I feel so lucky I found your blog to look at all the cute photos of Rigby! Aw, so amazing of you to rescue and nurse your Bulldog back to health! Thanks for entering, Mickie! The best thing about my boys (Italian Greyhounds) is that they LOVE to snuggle! They are little little humans and I love that! Aw, they sound super sweet! Forgive me as I’m new here but when you were looking into getting a dog, did you narrow it down to a few breeds you had some interest and knowledge of in or how did you go about it? I actually haven’t written a whole lot about that! For me, it was a long process. I had been wanting a dog for awhile, and originally wanted an Australian Shepard. After meeting a few in person in college, I realized it wasn’t really the breed for me. I met a Shiba at a Farmers Market and it was love at first sight. I did a lot of research, went to a meetup and met some in “real life” and then we did research to find a breeder and a puppy. Thanks Laura! We’re huge fans of Chewy too. He is such a pretty dog. I did not know this about their personalities. Thanks for sharing this interesting information. I’ve always told my husband if we ever got another dog I’d want to get a Shiba. They are the best!!! I read your 10 things…post and you’re spot on but I still love the breed (as I know you do too). I was pet-less when I moved in with my husband and he had a chihuahua so I settled (although I love him now too). Two years ago we adopted a Chiweenie from a rescue. He’s a chihuahua/dachshund crossbreed and I was like, “We have a chihuahua, we know what we’re getting” but oh NO. Wilkins is like 100% dachshund even though I know there is chihuahua blood in there somewhere. He’s his own weird little canine and my dogs couldn’t be any more different. Awww I’ve never known much about Shibas but they sound so awesome! And of course, they’re beautiful dogs!! The best thing about my pit bull is his super sweetness – he’s SO cuddly! And the best thing about my german shepherd is actually very similar to one of the Shiba traits you listed – she’s NOT super cuddly, but will allow it at times. I love this about her! She’s so independent and has such a personality. Thanks for such a great giveaway! Where would I begin?! Snugly to a fault, piggy squeals and airplane ears when he sees my kids if they’ve been away, the way he sees something “new” in the house like a plastic bag on the counter and does his best “whoofft” bark to alarm us, the way her runs to the window to look out when he hears birds chirping on TV….I could go on all day! Ha, the “new” thing always cracks me up! Rigby alarm barks at anything new, and sometimes I swear he can see ghosts! ;) Shibas are fun aren’t they? Love your list of Shiba Traits. I have 15 year old Shiba, and agree with most of your observations. AJ loves other dogs and thinks that they should all play with him. He hardly ever barked for 14 years, but when my husband died last year, AJ decided he was the Alpha dog! He barked at me to get up, to feed him, to take him out, to give him treats, to sit with him on th couch after dinner and finally at 10 PM to go to bed! I got a trainer who told me in no uncertain terms, I must teach him that I was boss. After a few sessions, this very smart (and stubborn) AJ is like a different dog. The trainer really made a difference. And funny, we had the hardest time getting him to obey the “down” command. You were right on with that one. AJ still acts like a puppy so I hope I’ll have him for many more years! So glad you saw a lot of similarities with Aj! It’s funny how they don’t seem to like the down command, though Rigby has to do a down-stay to get his dinner every night so now he’s very good at it. ;) Hope you have many more wonderful years with Aj, Georgia! What about the amazing greeting!!!! It was what endeared me to the Shibas from the first moment I met my first… Ours throws her toys, and runs around like an idiot when we come home, even if we’ve been out 15 minutes, lol, and then there’s the Shiba 500, getting the crazies…. Haha, the greetings are definitely great, and I think it fits well under #1 & 2. :) The Shiba 500 is definitely entertaining too! LOL!!! My wife and I have two, girls. They are all that you said and more. While they can be frustrating, they are also funny. I don’t give them stuff from the table often but every now and again I get a soft spot. Last night was not going to be one of those soft times. Instead, I gave them a kibble treat. Ghostie just ignored it and Nim, our snuggler, spit it out. I thought she dropped so I gave it back to her and she spit it out again. You gotta laugh! We love our girls dearly no matter how nutty they get. Wonderful article! This is exactly what we have with our Shiba Inu girl, too including the “I like to hang out with my kind”. Thank you for sharing the beautiful photos. Everything you have stated is so true of our 2 shibas. Except the cleanliness. Both love to roll in the smelliest poop, yes poop, in the park. Lol. (We let them off leash so it is often hard to catch them before they roll!) We were told it is a hunting thing. But i will say that they dont like getting their paws dirty. They are indeed sooo quarky! I love them! Thanks for sharing. * They are easy to housebreak. Mine have been fully house-trained by 10 weeks. * They can definitely be socialized to be good with other dogs and children. Find a good breeder who starts them off right! * No dog gives a better welcome home than a Shiba! Mine sings, yodels, dances and goes bananas when I come in the door. Just so I don’t pick her up! * They are very healthy – living to an average of 15 years. Just be sure that your breeder checks patellar luxation – this is the health problem I hear the most about. “oh hi that’s me!” HA loved this article. I have a Shiba of my own that is pretty much identical. I love this breed and all of their wonderful owners as well. I also like to hang with my kind :) Please follow @Reginaa_Shibaa for loads of Instagram joy. Aw, sorry to hear of your loss, it’s never easy. I hope you can bring another Shiba into your life in the future! We are crazy about our Shiba Inu, Hiroshi! Nine years old now, he is impossibly, outrageously cute and wicked smart!!! When he was ten weeks of age, I took Hiro to nursing homes with me, and he won so many hearts; it was a great way to socialize him, too–so important with that breed. Out terrific little guy has SOO much personality! Aw, so fun to hear about Hiroshi! He sounds like a great guy – and you’re so right about socializing! So important for Shibas.